Getting back into his best form this season, Gianluigi Buffon, took the time to blast some of the people that believes he can’t get his old performance back after returning from injury in early 2011. Buffon admitted that it was very hard in that early months but eventually things are looking good for him and now the Italian number one keeper has managed to show his qualities once again. The former Parma keeper also added that his objective at the moment is staying with the Bianconeri and continue to give the best for his current club. Buffon also believes that staying at Juve until now is already something that can show doubters his quality as being number one at a big club such as Turin giant for more than 10 years is not an easy thing to do even for any players. “I want to deserve Juve for life. My objective is to stay, but only as the real Buffon. I’ve been here for over 10 years and will remain until I’m at least 34, so I’m proud of what I have achieved. You don’t stay this long at a top club if you lack quality,” Buffon added. 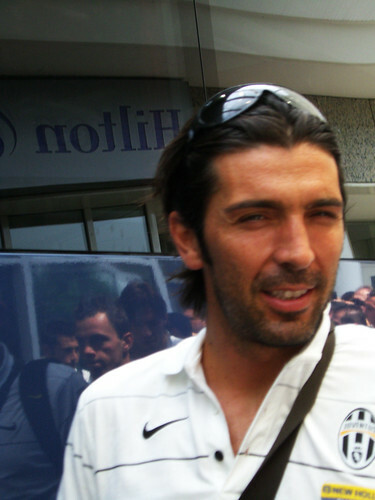 Moreover, speaking about his team’s chances in winning the Scudetto, Buffon once again warned his teammates not to get over themselves since the competition is still very early and many things could easily happened after the break. Despite still remain undefeated so far, the keeper thinks that if they’re not careful, Juventus could easily slip just like what happened in early last year, when things suddenly gotten worse for them in the second half of the season. “There has been an evident change of direction from July onwards, but getting ahead of ourselves would be stupid, We are not even halfway there and up until now the journey has been a strain in every respect, including psychologically. All it takes is a moment and you find yourself back on the floor. “Milan remain the favourites for me. Our primary focus is returning to the Champions League, as that is the priority,” the goalie explained.